Being listed as “and wife” in a joint passport was just not going to fly. If equality is a journey, then it should come as no surprise that passports have helped American women to cross some of society’s most entrenched cultural borders for more than a century. Married women were technically required to apply for independent passports if they planned to travel separately from their husbands, though Robertson didn’t find examples of those applications existing before WWI. 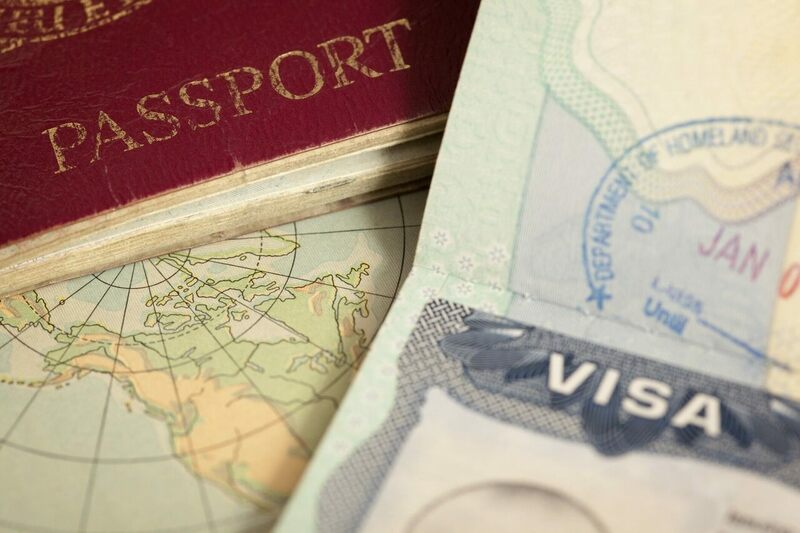 The lack of a paper trail may be due to the fact that in the late 19th and early 20th centuries, most countries didn’t yet require passports in order to enter (Russia and Turkey were notable exceptions). So the absence of a passport wasn’t a deal-breaker for women who wanted to travel independently but found the “passport nuisance” too cumbersome or expensive to bother with. However, Robertson says that while a passport was not necessarily required, it did represent a written request for protection and assistance from the government. “At least from an official perspective, the passport offered a single woman traveling alone the protection that it was assumed a married woman would get from her husband,” he says. As the passport continued to evolve as an official marker of American citizenship, it attracted the interest of women’s rights activists. Shortly after her wedding in 1917, writer Ruth Hale applied for a passport under her maiden name before departing for France to work as a war correspondent. Her request was denied, and when Hale returned to New York a year later, she embarked on what became a lifelong crusade to use her maiden name on legal documents. In 1920, Hale was issued a passport under the name “Mrs. Heywood Broun, otherwise known as Ruth Hale.” She returned the document, and though the State Department experimented with various alternative phrasings, Hale never received a passport she found acceptable. In 1925 the Lucy Stoners encouraged Fleischman to take another crack at the State Department, in order to prod the agency into overturning its rule against issuing passports to married women solely in their maiden names. “Despite arguments about whether a married woman could be known and identified through her maiden name, much of the official concern seemed to be about the ‘embarrassment’ of the perception it would create, i.e. that although a married man was traveling with his wife, it would appear that he was traveling with a single woman because she did not have his name,” says Robertson of the agency’s reluctance to capitulate. This time, Fleischman added a note to her passport application, which read: “Since it is apparent that the purpose of a passport is to establish identity, I assume you will not wish me to travel under a false name.” Though other women had recently filed similar suits, Fleischman’s application set off a press firestorm, thanks in no small part to her expertise as a publicist. In June, a passport was issued to “Doris E. Fleischman,” who promptly set sail for France, this time with her husband in tow. Fleischman’s passport was the first legal document issued by a federal agency to a woman under the name she preferred and the first U.S. passport issued to a married woman that didn’t designate her as the “wife of” her husband. However, though other women could request passports with similar wording as Fleischman’s, the State Department continued to issue passports referring to most women as “the wife of Mr. John Doe” until the late 1930s. And with that, women’s rights advocates gave American passports their stamp of approval. "The article of clothing which women ought only to wear in a figure of speech."